Pandora, Please Stop discrimination against Musicians! Below is a letter from Tim Westergren, Founder of Pandora (NASDAQ: P) urging consumers to help him discriminate against musicians by attempting to reduce his royalty obligations. We all love Pandora, we love that it pays on time and is honest in its approach and it provides a great platform for independent music. In fact, we’ve seen some estimates that 30% of Pandora’s spins are independent music. In sum, while far from a perfect deal that webcasters would have selected on their own, this deal does provide another option for webcasters with substantial advantages in many area to those that qualify for treatment under this deal. While no doubt the fight will continue over the standards that should be used to determine royalties in future proceedings, so that parties don’t need to enter into these after-the-fact settlements [which is not happening now because the 2009 deal is in place until 2015] when one party has a substantial bargaining advantage with a favorable decision already in hand, SoundExchange [including the artist unions] should be credited for agreeing to reach this deal when there was no compulsion that they do so. This deal presents certainty for many webcasters – eliminating further litigation and negotiation costs while setting rates at which a class of webcasters can go on with their operations. This is, unfortunately, slight of hand–SiriusXM is primarily a subscription service and Pandora is primarily an ad supported service. Apples and oranges aside from low artist royalties–we have issues with Sirius, too, but that’s another story. The fact that over the air radio pays nothing is not exactly something to be proud of as we will spin out a bit in this post. But here’s the point we think is important: If Pandora wants to compare apples to apples and feels it is unfairly penalized by the rate setting procedure, it ain’t exactly like they weren’t represented in the past or now. If Pandora would like artist support for some changes that would help them be more profitable going forward without reducing rates to artists, then all they have to do is ask and if what they want really is fair, they’d probably get artist support. But we didn’t hear that ask and we don’t see that proposal. What we see is the typical Big Tech Washington cronyism that artists simply can’t compete with. You’re going to hear a lot of talk about “fairness” and “stifling innovation” as Pandora spends big lobbying bucks to grease the skids for the Congress to set price controls in its favor. Just remember–Pandora gets those big lobbying bucks from a wildly successful initial public offering of the company’s stock. And the reason Pandora had a wildly successful IPO is because they make a great product that is 100% dependent on your music. No music, no Pandora. Of course, this technological innovation moves much faster than the laws out of Washington, which still treat each radio platform a little differently. That means some radio platforms, like Pandora, compensate artists when they play their recordings, while regular over-the-air “terrestrial” radio stations don’t pay musicians a dime for playing those same recordings. That’s not fair to musicians that depend on those performance royalties to put bread on the table. And it’s not fair to expect some radio companies to pay while others get a free pass. It sounds like Pandora never picked up the phone to discuss their beef with either the musicians union or the singers union (now SAG-AFTRA). This was a major oopsie for Pandora founder and Chief Strategy Officer Tim Westergren, an ex-record producer . Unlike American Federation of Musicians President Ray Hair, Westergren ain’t elected and he only represents Pandora–even though Time Magazine says Tim is one of the 100 most influential people in the world. So it seems that when you have that kind of influence, you don’t need to call a mere elected union president whose members supply your company with its only product, but whose members had their bargaining rights taken away by the compulsory webcasting license. No strikes–just the way they like it in the Valley. This is important because Pandora now wants to reduce their already low rates royalty rates to even lower rates. This is just like when Sirius and their PR machine wanted you to focus on how bad things were for Sirius Radio a few years ago when Sirius got a 50% off deal on their royalties. Now Sirius and their lobbyists and lawyers want you to ignore that Sirius suddenly has an extra $1,000,000,000 in cash–that’s right, a BILLION IN CASH. When the bad times came, the artists gave Sirius a deal. Sirius has no intention of returning the favor in the good times. We applaud their success, but where is the love? The joke is that things are so bad for Pandora, they just went public. So don’t expect any love from Pandora, either. Because just like Sirius, Pandora doesn’t answer to the artists for their 100% dependence on music. Pandora answers to Wall Street, which is to be expected for a public company. So we say to Tim Westergren, we love you, man, but face facts–you are The Man 2.0. Don’t fool yourself into thinking that Time Magazine knows anything about the music business. It’s really OK, we get you, we’re used to dealing with The Old Boss and The New Boss. You made your choice, so just be honest about who you are when you are moving the goal posts. 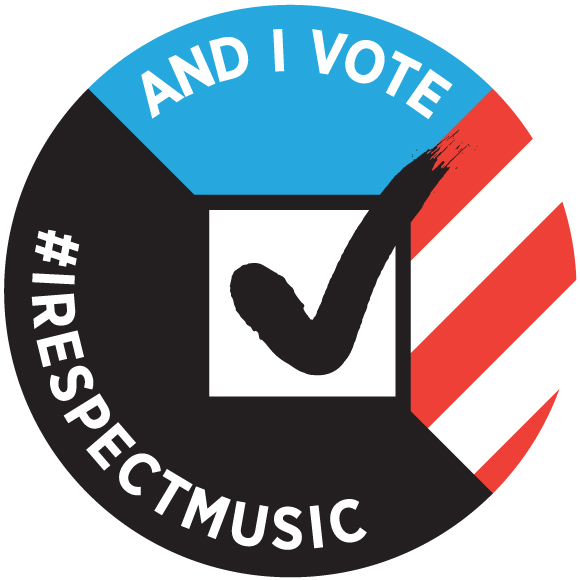 Back in 1995, the U.S. Congress effectively took away the artist’s and record company’s right to negotiate private deals with Internet radio when Congress established the limited public performance right for sound recordings. Due to a quirk of US law, recording artists were never paid for radio play unlike songwriters. The US Congress partly changed that in 1995. The compulsory license for digital radio does not cover broadcast radio or on-demand services. So far, artists have not been able to move that needle to include broadcast, although we’ve tried. Hard. Going up against the broadcast radio lobby is like going up against Google—limitless lobbying budgets, tremendous political influence, control over a significant portion of the dissemination of news. There is, after all, a radio station in every Congressional district. And most of all, an unbridled willingness to crush anyone who gets in their way. Like artists, for example. This is a good time to mention a key fact—almost every other country in the world requires broadcasters to pay artists for performances on both broadcast and digital radio. (“Almost” because North Korea and China don’t.) So it is American broadcasters who get out of paying the artists, including American artists. This is why the broadcasters (including digital radio like Pandora) don’t like the Internet radio rates. Even so, the digital radio royalty and statutory license have actually worked, which is more than you can say for the DMCA. What that means is that no one can refuse to license for digital radio and the royalty rates are set by the government. More on that later. Pandora has leveraged this government-mandated compulsory license to get its business going. Unlike Spotify, all Pandora had to do to get its content licensed was send a notice to the Copyright Office and to SoundExchange, get blanket licenses for the songs and they were in business. No piecemeal negotiations with anybody, no advances to anybody, just send the notice, build their technology and get going. Artists get paid, labels get paid, innovators can form companies without paying any advances. Of course, Pandora lead the charge in 2009 against the digital radio royalty rates. But they paid up when they got the deal they wanted. Or the deal that they wanted long enough for the company to bring to market an initial public offering of its stock. Now they want a different deal. And as the Bard sayeth, therein lies the rub. This Time, It’s About Money. Period. Remember—Pandora has great technology, superior technology even. Pandora is a highly innovative and music driven company. We love Pandora. But because it is music driven it has one product—music. Pandora last negotiated licensing rates for the music they profit from in 2009. That was a long and painful process. We heard sanctimony from Pandora’s Tim Westergren at every turn about how Pandora was going to go out of business if they couldn’t get cheap licensing rates on music. A lot of people said privately that they’d like to know where it was written that Pandora was guaranteed the right to stay in business when musicians weren’t. But Pandora looked like a promising investment, so artists invested in the company the way artists usually invest—do the same work for less money. Pandora got a special deal on royalties and they stayed in business. Now Pandora are back again with the same song—they want to pay even less. So what happened? They must be having a really hard time like last time, right? Scraping by? No, actually what happened between 2009 and now was that the company “went public” in 2011 with a billion dollar-plus valuation, the dream of every Silicon Valley entrepreneur. The founders and their VCs cashed out. We’re happy for them and glad to see a stand-alone digital music service trading on the New York Stock Exchange. Westergren is apparently not as rich as Daniel Ek (the 10th richest man in the music business), but surely he got a nice payday when Pandora went public (which we think he totally deserved for years and years of hard work, by the way). Pandora has a market cap roughly that of a major label. But now that it’s public, Pandora has to make its revenue numbers to keep Wall Street happy. So there’s a couple different ways they can do that. One way is to throw all their resources at growing their revenues. That’s what most people will do. The other way is to decrease their costs. Like their royalty costs, for example. It is simple math: Every dollar that Pandora pays in royalties is a dollar less for Wall Street. The fastest way for Pandora to increase its profits—and theoretically its stock price–is to pay lower royalties to artists. And when you look around the Pandora board meeting, there’s a face at the table to oppose cutting every cost item–except one. This will be familiar to artists—it’s the same fight that artists are having with Spotify. And just like Spotify, we don’t see Pandora coming to the artists and offering to pay a bonus to everyone who gave them a deal on royalties so that Pandora could be successful and go public. For years we’ve heard from Westergren about how artists should aspire to be middle class, to make a good middle class living, don’t expect too much, be happy with what you have. Lowering expectations. Now we know why. The other shoe is dropping now, and Pandora’s true agenda is becoming obvious. 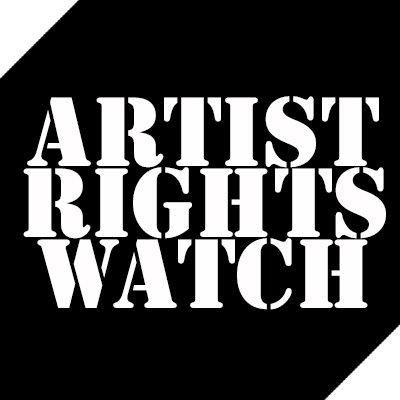 Rather than devote themselves to growing their revenues to satisfy Wall Street, instead they want to spend their resources on lobbying the government to force artists to accept lower rates knowing that the artists on whom they depend cannot compete with lobbying dollars of their own. The Greek name “Pandora” translates into she who received gifts from all. And boy does that ever fit this company. Here’s the deal—Pandora gets the gift of certainty in licensing, certainty in rates and low startup licensing costs. This gift allows them to devote their resources to innovating delivery and discovery of music which they have done masterfully. And now Pandora wants even more gifts. And they want to use their public company political clout to force artists to accept less so Pandora’s shareholders can get more. And yes, it is a zero sum game and yes it is that simple. Pandora keeps Wall Street happy while they get rich from our gifts and now they take their riches to lobby the Congress to pay them even more of our money. So at the end of the day there is very likely going to be another Big Tech driven SOPA-style hissy fit over digital radio rates. And remember, it was Pandora that originated the hissy-fit technique that Google perfected with SOPA so expect that threat just any day now from one of the Most Influential People in the Known Universe. But this time—don’t let them fool you into thinking that somehow they are doing this to protect the “middle class artist” or “innovation”. This time it’s just about money and we won’t get fooled again. Updated 9/22/12 to include clarification on “near on-demand”, SoundExchange splits, Pureplay rates and Oxenford quote. ← So much for Post-Scarcity, unless Electricity is free? Pandora’s missing the point, and best I can tell so are you (honestly I didn’t read the whole article). Comparing revenue to royalties doesn’t make sense. How many songs did Pandora play vs. how many songs did SirisXM play, *then* compare royalties payed. actually matt you should read the whole article. you are incorrect. unlike terrestrial radio artists are not compensated by spotify or pandora based on the number spins. instead IT IS a complex percentage of revenues scheme. what confuses people is that sometimes people like me will convert this into an average number of revenue per spins based on last quarters calculation, but that is not how it’s calculated. that’s part of the problem with pandora/spotify royalties they are impenetrable. correcting correction matt. there was a typo in my quote which probably made my comment confusing. Let’s just say this: Some pandora royalties are per spin, but others are based on that confusing percentage of revenue. It depends on what part of the Pandora service you are talking, the subscription on demand or the free near on demand advertising supported part. It also depends on the kind of royalty. there are several. So we are both right and probably talking about different things. I believe that the “near-on-demand” free advertising supported part of pandora is where the proposed changes in the law mostly apply. the net result is the same. artists will get less, through falsely claiming that pandora is the same kind of service as XM or terrestrial radio. David, have you used Pandora? It’s not at all like that. Owning every album would mean you could play any song on that album whenever you wanted. That’s not how the stations on Pandora are structured. It sounds more like you are describing Spotify. There is no reason for Pandora to pay less than they are currently paying. Apple pays 70% of their revenue on music to rights holders. Pandora only pays 50% to rights holders and is complaining about it. Pandora does not have the ability to break artists and develop careers as terrestrial radio has done so historically. If Pandora was “moving units” for labels, artists and rights holders this might be a different conversation. Pandora benefits from not requiring licenses as Spotify does, and yet Spotify is paying more than Pandora as a percentage of revenue (Spotify claims to be paying out 70% to rights holders, same as Apple). That’s actually really disturbing if you really think about it. You are confusing things here. When this says 50% to rights holders and 50% to performers this is ONLY out of the performance royalties paid to SoundExchange for streaming radio, not the broadcast royalties (i.e. BMI/ASCAP) which are for any radio, nor the artistic and mechanical royalties that Apple would be paying for selling mp3s. Different things altogether. I forgot to mention this in my comment below, but the rights-holders royalties for streaming radio are based on “a percentage” of income, but the actual percentage number is nowhere to be found. I did read on Oakland Tribune article where they claimed it was 5%, but I never found out while I worked there. In other words, ASCAP/BMI/SESAC will pay out whatever amount they get to whomever they determine gets it. No radio pays artistic nor mechanical royalties, these are paid for sales of music. Pandora does not sell music. @ Jonathan Segal – not sure why I can’t reply to your post directly, so apologies for that. To your point however, I may be confused, but here’s my point. If Apple and Spotify can make a business out of a 30% margin, IE, paying out 70% to rights holders, why can’t Pandora? If the business model is simply unsustainable, why is that the problem of the rights holders and artists? It’s not the artists and rights holders job to bail out tech companies with a transfer of wealth from creatives to internet corporations. yeah sorry. I was looking for a better phrase than “near on demand” and never put it back in my quote. The main point remains true, Pandora is not the same kind of service as XM radio or terrestrial radio as you can build a radio station around a particular artist or artist’s song. It’s not intellectually honest to compare the two. And indeed soundexchange, rightsholders and web broadcasters were in agreement at one time that the royalty scheme was fair. Pandora implicitly agreed they were not like satellite or terrestrial broadcasters. Also check out Jonathan Segal’s insightful comment about the Pandora algorithm moving away from the music genome and more toward approximating an on-demand service and broadcast radio. the algorithm used is the same whether the listener is listening free or paid, there is simply no advertising in the paid “Pandora One” tier. It’s still always “non-predictable” and both tiers pay royalties at that rate. Hey, I have a bunch of things to say, not only as a musician but as a former Pandora employee… I mean, as much as I can without breaking my severance contract. First off, let me say that I am completely in agreement with the tenet of this article. When Tim was lobbying this same way starting in 2005 or 2006 in prep for the 2009 Congress-set rates, I had some misgivings (before I worked for them) and wrote so to him in comments on the Pandora blog that served then as their blog and faq. When I worked there, my main job was “Listener Advocate”, i.e. listening to the listeners and advocating on their behalf to the company. My job also encompassed dealing with indie music submitters and their concerns, as well as several other odd things. I must say that this job changed to basically tech support when the company went public. So Pandora does indeed pay a per spin-royalty rate, to SoundExchange. This is for performance royalties, the main thing being discussed here. Note that, as mentioned in the article, terrestrial radio does not (yet) pay performance royalties in the US. And in China, North Korea, Congo, Afghanistan, etc… This is the $0.0020 per spin current rate, and it is specifically based on non-predictive streaming radio, not on-demand streaming, which is indeed a higher rate. For rights holders, however, there is a convoluted system based on a “percentage of income” which is simply paid in bulk to ASCAP/BMI and they divide it arcanely… and incorrectly. I have personally examined play numbers for indie artists who wondered about discrepancies between the play numbers paid for by SoundExchange and ASCAP and discovered that SoundExchange was indeed correct, while ASCAP used some odd average or extrapolation techniques. So, yeah, it’s a financial mess. And why the company aspired so heavily to being a public company is beyond me, except that that is the goal of the VC investors, and probably was the goal of Joe Kennedy, Pandora’s CEO. But, yes, after a “successful” IPO at $16/share, everybody with severe numbers cashed out either then or last December after the lockout, and the stock price hovers between $8-10. So the idea that the company is pro-music was basically destroyed in the process of going public, as you mention. Wall Street simply does not want the company to pay for music, and in this Tim is complicit. It’s sad, as he has always claimed to be on the musicians side, but the very reason that I left the company (was “let go”) had to do with continuing to question these things. The reality of what Pandora is is that, like commercial radio, it isn’t about music. It’s about selling advertising, and keeping the listeners there by means of music. When we were to hire a “customer service” manager, I had to interview him (the same person that eventually “fired” me, actually) and I wrote a long letter to the head of engineering and to HR about this entire idea. Basically, my point was that if they were trying to pretend that the listeners were the customers, they were lying. The advertisers were the customers, the listeners are simply listening to the stream. I would love to mention these people by name, but I can’t. Beyond that, the content of the advertising was problematic and putting a bad face to the company in general, as Tim had been politically active over the entire life of the company, and was continuing to lobby on the company’s behalf, whenever we had ads that were not simple products or services but were political, they reflected on the company. And not simply politicians advertising (which was disgusting, but as that same head of engineering pointed out to me, meant $1.00 where other ads paid a nickel), but we carried ads for what were essentially hate sites (“Speak Up University”, “Minnesotans for Marriage”) and scam sites (VistaPrint, for example, whose “free item, only pay shipping” ends up with a $15 subscription on your credit card…) Tim refused to admit that what we advertised politically reflected on the company, nor what he did politically, despite being the literal FACE of the company and being a political activist on its monetary behalf. Pandora has a set of its own buzzwords that it uses, perhaps like any company, and a set of basic tenets that are supposed to be held as the guidelines for behavior. This is taught in a “Pandora University” to new hires. The top set of statements has a few contradictory lines: one says (paraphrasing) that Pandora respects artists as music is the blood of the company. Initially the company was mostly musicians, and many employees gigged as well as working. People could be working remotely on the road for periods of time. One now-meaningless holdover from this early period is that the “Holiday party” was in late January or early February as the musicians mostly worked during the New Years period. This whole idea of supporting musicians was supplanted by a later addition to the guidelines: Advertising is our bread and butter. Really that should be made first on the list. It really is sad how money changes everything. The reality of the company was that it was initially a very musician-supported and supporting thing, but accepting and being kept alive by VC made it beholden to them, which in turn changed the heads of the people in charge. The intellectual property of the company is based on the intricate analysis of the music that is used in the playlist algorithm. But a real playlist algorithm based on these sorts of musical traits does not satisfy the average radio listener who wants an on-demand service but will not pay for it. Most listeners really just want the hits played on terrestrial radio, so the playlists become more crowd-sourced for more popular music, to please the greater number of people. The entire playlist algorithm is changed and altered every week – not to create a better algorithm, really, but to create one that has a greater number of listeners staying online for longer periods. Statistics are king. That’s what sells ads!